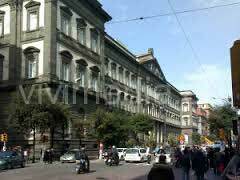 The 8° Study Day of INU- Italian National Institute of Urban Planning –will be mainly devoted to the “Policies for Italian cities”, with a focus on the European ones. The crisis which is interesting the city, but in turn is making it actor of a new development model – as emerged in the 2013 Inu National Congress –, and the environmental and socio-economic questions concerning the regeneration of urban forms make central the construction of an idea for the city of future. Our country is in late with respect to the other EU members also in terms of competitiveness, because strategies which they have adopted have improved infrastructures and developed the metropolitan environment, reducing the external costs of the local companies. Similarly, it is possible to observe their technological innovation, the energy efficiency and the reduction of the natural and non-renewable resources. All these factors clarify the centrality of the urban topic in the government of the Country and the needs of a national politic, where combining suitable rules and tools, and resources in strategic areas. As regards, the 8° Study Day of INU represents an important occasion in order to synthetize the current state of art, whose organization is articulated in 10 main tracks, and 4 more devoted to the Italian countries, each with a coordinator and a discussant, expert of the specific topic. The acceptance is based on anonymous evaluation by a Scientific Committee. Following the acceptance of the abstract the authors will receive the author’s guidelines. The proposal of 500 characters should indicate title, relators and a short abstract. Those who wish to join Inu association during the Study Day will benefit of a reduced registration fee of € 50 (instead of € 75 membership fee). Shift CRPPIT2P464, reason: “VIII Study DAY INU Fee”. Evidence of the fee payment must be included in the same email used for final paper submission. 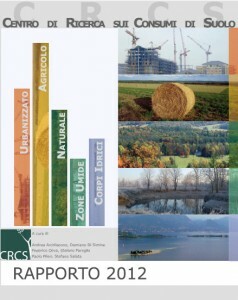 All accepted papers will be published on Urbanistica Informazioni Online journal (with ISSN). 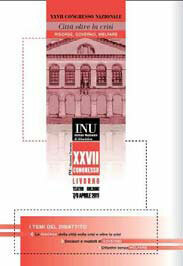 3 Selected papers may be published in the INU journal “Urbanistica”.